Let’s face it. 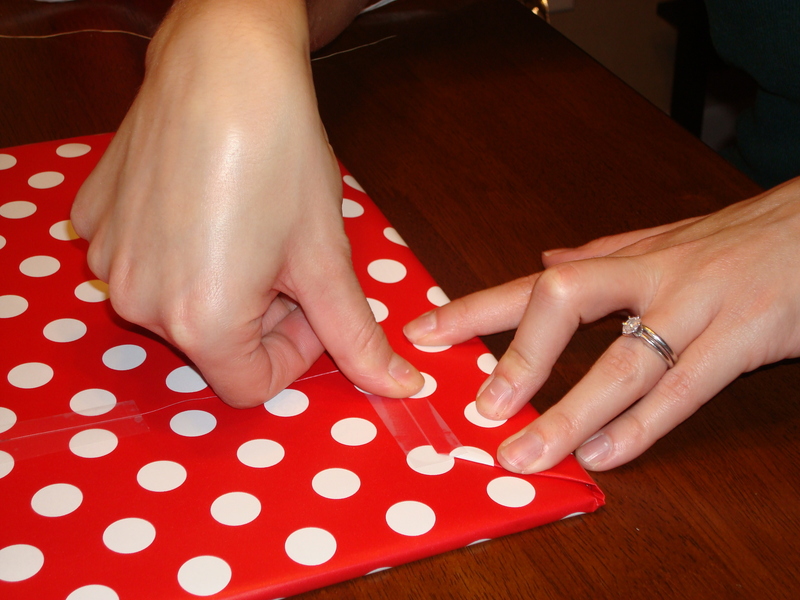 Gift-wrapping isn’t a big deal…. 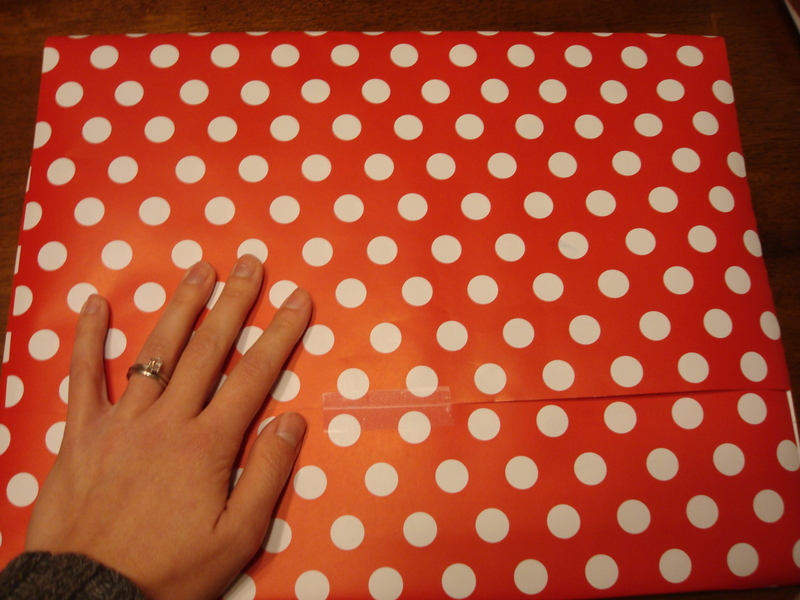 it’ll be ripped apart in less time than it takes to say “thank you.” Many will say that there are bigger things in life to be worrying about than how to properly cover up a present. 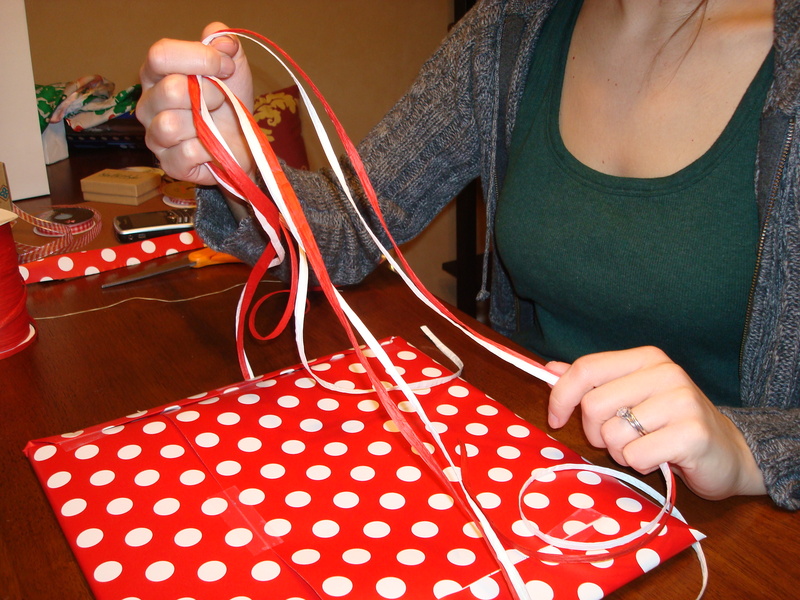 Perhaps this is true, but, if you’re like me, and enjoy making ordinary things more creative, as well as love the traditions of holidays (specifically Christmas), gift-wrapping can be a lot of fun. 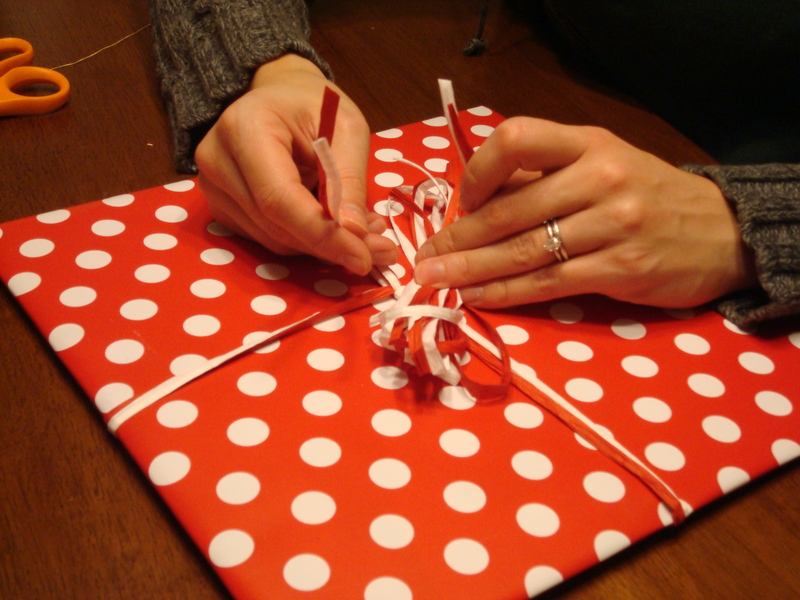 Let’s start with part 1… the basics of gift wrapping. Well, let’s get more specific… my basics. 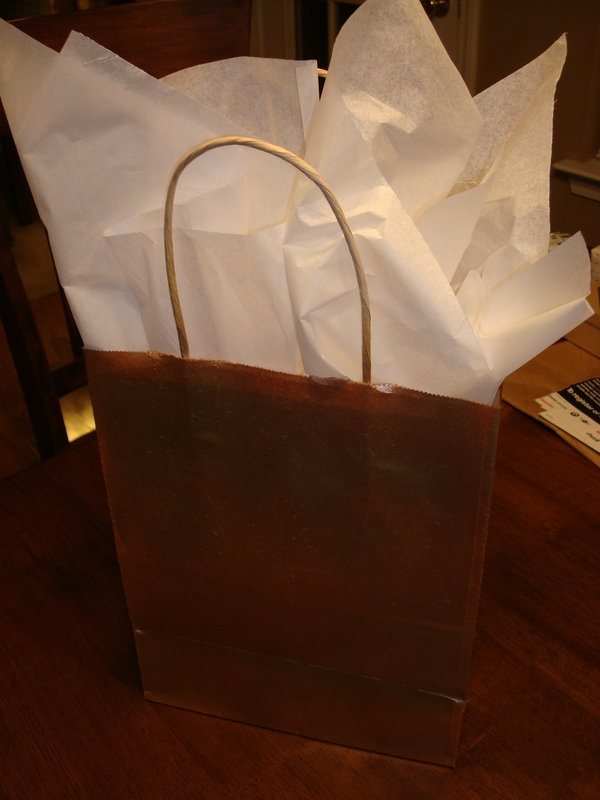 Over the years, one thing has stuck with me in regards to tissue paper: you can never have too much. Of course, don’t be wasteful. But, the point of the tissue paper is to be an additional layer of disguise under the wrapping paper as well as to be a cushion for it in transport. 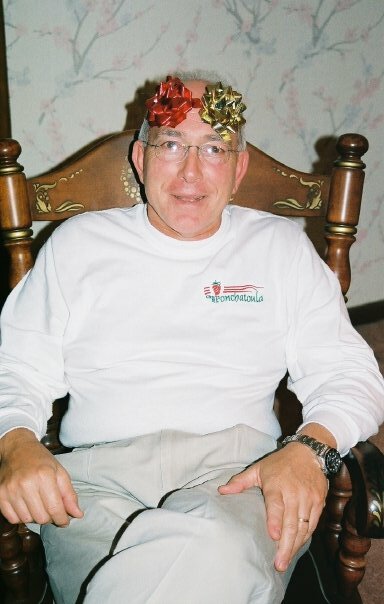 It keeps gifts where they are supposed to stay in a box, whether that’s a shirt or a pair of socks from rolling around, or a breakable ornament in a gift bag. 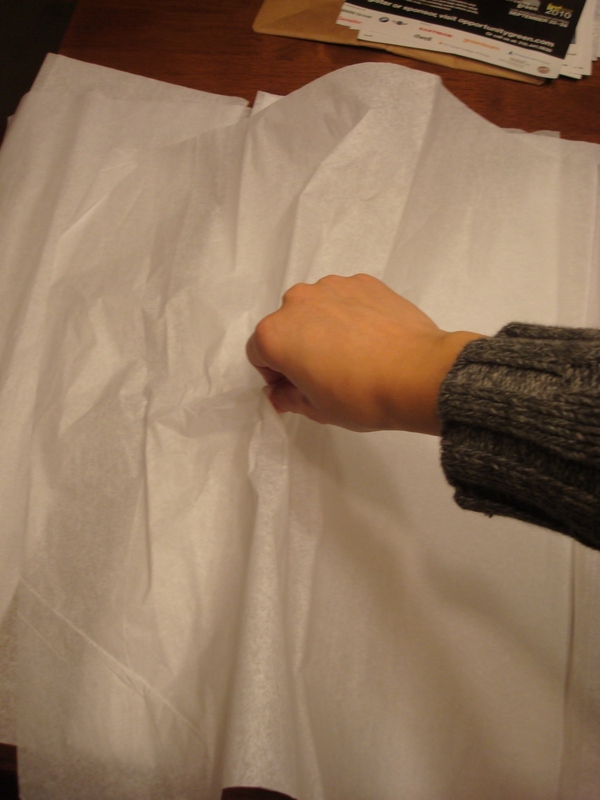 My tissue paper method includes laying the tissue paper out flat on a surface, then grabbing and pinching the middle of the paper. Take that pinched piece, and place it down into the bag… it’ll look like a wrapped bouquet of flowers (that shape anyway). Usually, I use three of these pinched cone-shaped papers to stick up out of a gift bag. 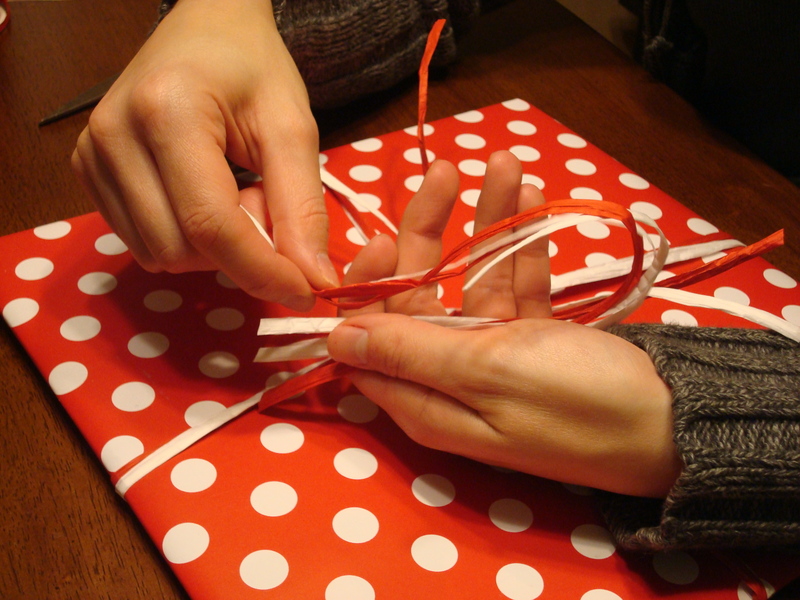 Pull out a lot of string… more than you think you’ll need to wrap around the package. 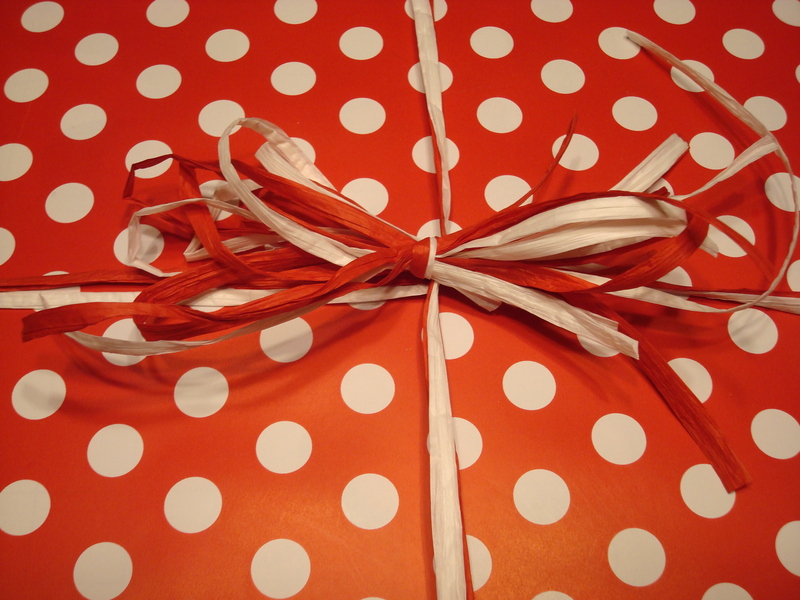 After tying the ribbon around the box, leave about a foot of ribbon, and cut off the excess. 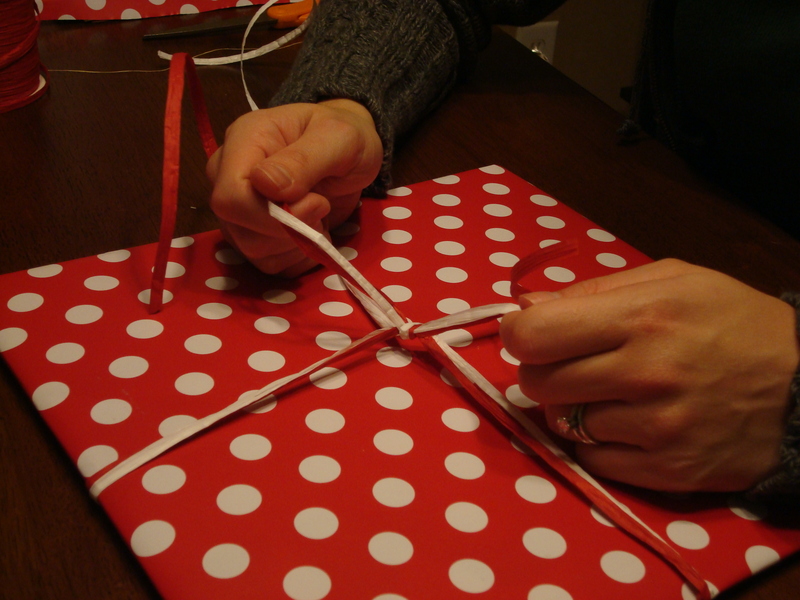 Take the excess, and repetitively wrap it like you would a rope… in a loop.